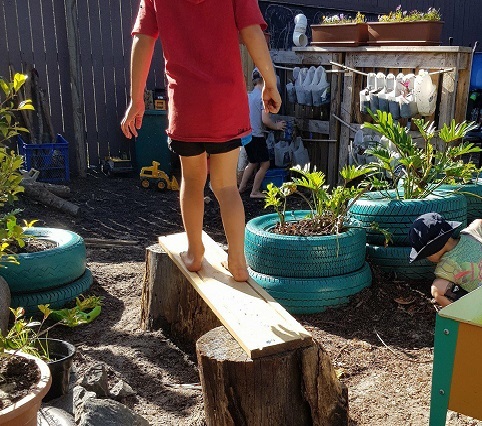 Outdoor play is vital for giving children the opportunity to explore and connect with natural elements. At MELC we value our outdoor space and view it as an extension of our educational program. Through exploring the environment children are free to think, create and imagine without restrictions. 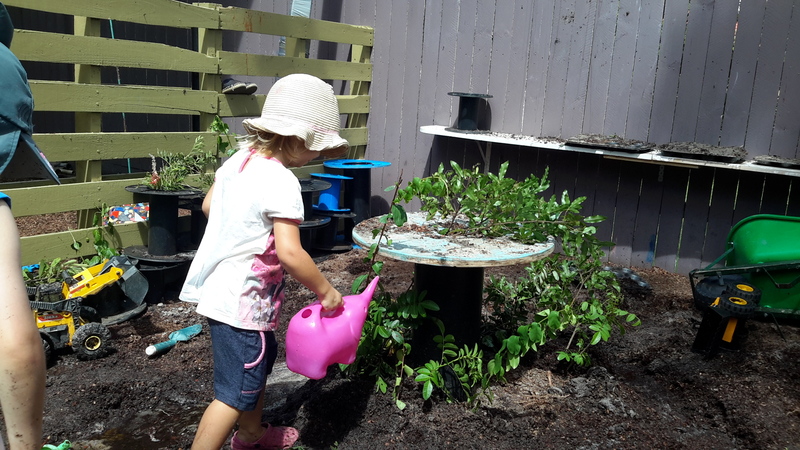 Our outdoor areas are constantly changing and evolving to meet the needs and interests of the children. The space is shared between all age groups, with children playing and working collaboratively each morning and afternoon. 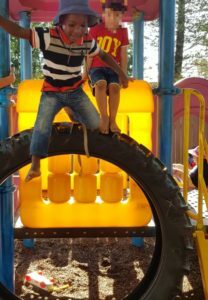 We embrace all kinds of weather and strive to offer children a range fun and meaningful experiences. Our educators recognise a ‘risky play’ as play that is exciting, but does have the possibility of physical injury. This is different from a hazard, which is inherently dangerous and has a high chance of causing injury or harm. All spaces and activities at MELC are risk assessed by both educators and children to identify possible outcomes, as well as the benefits of taking particular risks. 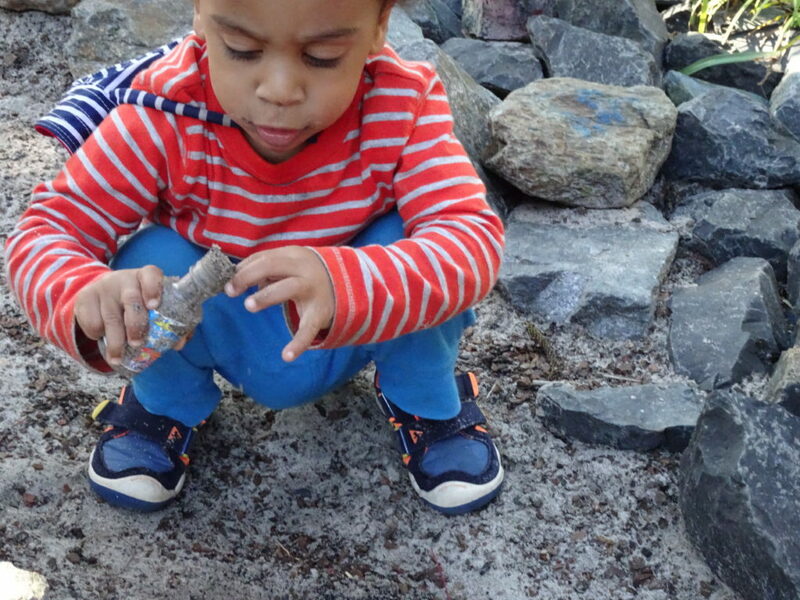 We embrace challenging and risky play as a means to allow children to explore their limits. 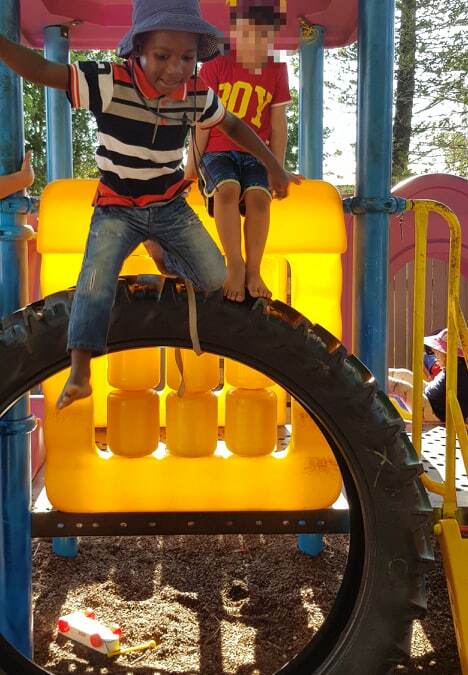 Activities such as climbing, sliding, balancing, jumping from heights and hanging upside down are all welcomed within our outdoor play space. It was a long process of critical reflection for our team to refine our approach to ‘risky play’, which we felt had become heavily regulated and discouraged within a lot early childhood education and care environments. 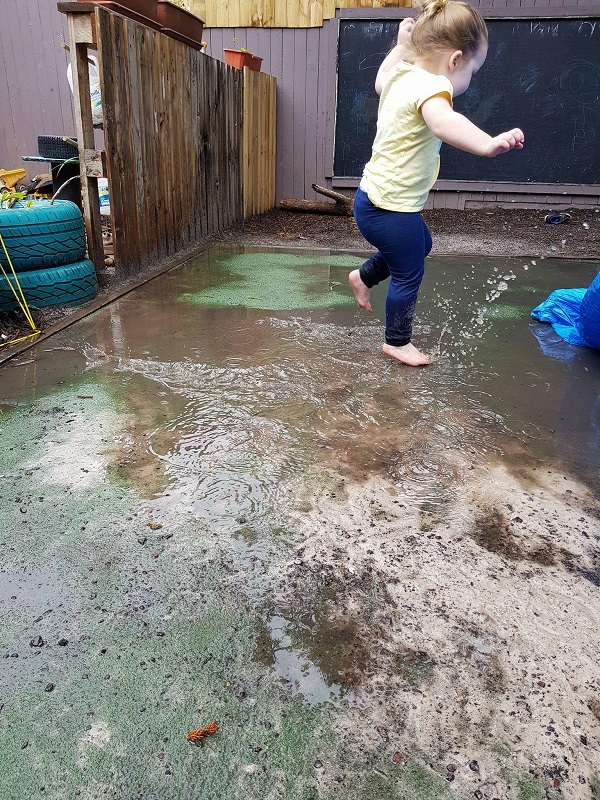 Our educators feel the benefits of allowing risky play will have a long term positive effect on children’s play and learning, and will help children to develop risk-management skills, confidence and resilience as well as gross motor skills. No play space is completely risk-free, there are always obstacles and risks present. Our educators believe that the biggest risk we face is not giving children the skills to identify and reduce risk in environments that are new or changing.